LONDON (VIP NEWS) — Britain's advertising watchdog on Wednesday issued a caution to concert and live event powerhouse AEG Live for promoting a "one-off" Kanye West show in London, to which it later added two more gigs. AEG had in an email promoted the original concert at London's Hammersmith Apollo on Feb. 24 as a "one-off." A person later complained that the ad was misleading given that two additional concerts were subsequently unveiled, according to the Advertising Standards Authority. It ruled that AEG must not describe concerts as "one-off" if there is a chance that additional dates could be announced at a later time. 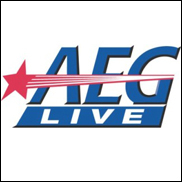 AEG had argued that the gig "was intended to be a one-off performance," with strong consumer demand leading to the decision to add two shows. The watchdog acknowledged those facts, but highlighted that the two additional gigs were announced within two days of the original email promotion. "We considered the claim "one-off" was likely to be interpreted by consumers who received the ad to mean no other Kanye West concerts would take place in the U.K.," it said. "We concluded the claim that Kanye West would perform a "one-off" concert in the U.K. had not been substantiated and was misleading."